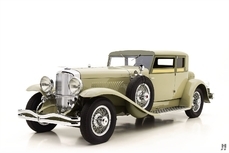 General description : As the 1920s drew to a close, Cadillac was enjoying considerable success in the hotly contested luxury car market. Locked in a tight battle with its cross-town rivals at Packard, General Motors made a bold move by adding La Salle as a stylish junior companion brand to Cadillac. The step put Cadillac on firm footing, and soon company president Lawrence Fisher, together with the new head of design Harley Earl set their sights on creating an all-new flagship to lead the GM’s most prestigious marque into the 1930s. At the heart of the new series was a pair sensational new overhead valve engines – a 370 cubic-inch V12 and a 452 cubic-inch V16, both designed in-house by Owen Nacker. The engines were technically and visually stunning, featuring Art Deco-inspired styling with enameled and polished valve covers, and concealed wiring for a striking, clean appearance. Both engines were powerful, but it was the mighty V16 that genuinely stole the headlines with its 175 horsepower output and unparalleled refinement. A new, strengthened chassis with power-assisted brakes and a “clashless” synchronized gearbox handled the power from the new V16. Unlike its competitors, General Motors utilized in-house coachbuilders Fisher and Fleetwood to build the bodies for the new Series 452, with only a select few cars going to outside firms. Nearly one hundred body and wheelbase combinations were possible, which ensured the kind of exclusivity that was necessary if Cadillac hoped to lure buyers from the likes of Rolls-Royce and Hispano-Suiza. 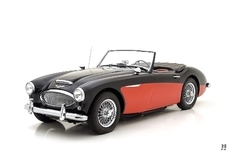 The basis styling was penned by a team led by Harley Earl, with the talented craftsmen at Fisher and Fleetwood translating the beautiful designs into reality. Initial sales were impressive for 1930 but tapered off dramatically in subsequent years due to the harsh reality of the Great Depression. GM lost money on every example they built, yet the Series 452 soldiered on through the end of 1937. Particularly in its original form, the Cadillac V16 stands as one of the most desirable and collectible American motorcars of the classic era. 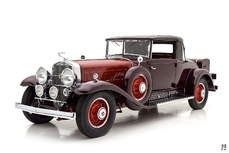 Sold new via the Chicago Cadillac distributorship on March 14, 1930, this Cadillac V16, serial number 700503, wears Fleetwood’s exclusive and beautiful five-passenger All-Weather Phaeton coachwork, style #4380. 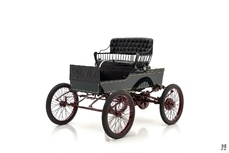 This marvelous example of Cadillac’s esteemed flagship has well-documented history from the time it was delivered. It stayed in Chicago until the early 1940s when it was purchased by Willy Christi, who brought the car to California. He cared for it and maintained it in original condition until his passing in 1988. Through the estate, Jim Pearson of Kansas City was able to acquire the car. Known to many as “Cadillac Jim,” Mr. Pearson was an authority on classic Cadillacs, a charter member of the Cadillac LaSalle Club, and a stalwart of the Antique Automobile Club of America. Since first learning about the car in the 1960s, Pearson knew it was one of only a handful of V16s to be relatively untouched and complete with original coachwork, and he was thrilled to acquire it after twenty years of trying. After a brief period, the car then changed hands to another well-known Cadillac enthusiast, Mr. 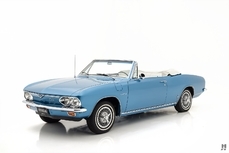 Bud Tinney who, in the late 1990s commissioned Lloyd and Jeff Brekke of Lloyd’s Restorations to perform a concours-quality restoration to original factory specifications, with careful attention paid to preserving this car’s numerous original components. In the hands of the next owner, Mr. Dave Lindsay of Manawa, Wisconsin, the freshly-restored Cadillac earned a Senior Award at the 2002 Cadillac LaSalle Club meet in Detroit. Also in 2002, it received a CCCA Senior at the Spring Grand Classic event. In 2016, this marvelous Cadillac changed hands again, joining another collection of fine Classic Era motorcars. Over the winter of 2016-2017, the new owners refreshed the restoration with some new plating and paintwork, executed to a very high standard. The newly freshened Cadillac debuted at the prestigious 2017 Amelia Island Concours d’Elegance, completing the road tour and topping that with a well-deserved Best in Class. Finished in striking original colors of black and crimson, (per the original build records) this marvelous Cadillac remains in exceptional condition today. Concours-quality plating and detailing highlights the outstanding paintwork. The fabulous Fleetwood coachwork is distinctly sporting, with a split-V windscreen and stylish, low-profile convertible roof. Accessories include dual Trippe Lights, radiator stone guard, Goddess mascot, dual sidemount spares with Cadillac See-Rite mirrors, and chrome trumpet horns. Red painted wire wheels, and wide-whitewall tires round out the crisp, visually stunning presentation. Complementing the exterior is an equally lovely interior, opulently trimmed in black leather and carpet. Finishing is to the same high standard set by the rest of the car, with gorgeous woodwork, chrome, and engine-turned alloy fascia. A mere one in five Cadillac Sixteens received open coachwork when new, and just a small number of them survive with their original bodies and significant mechanical components intact. 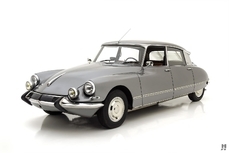 This well-documented example remains fresh, beautifully finished and ready for concours events and road tours. 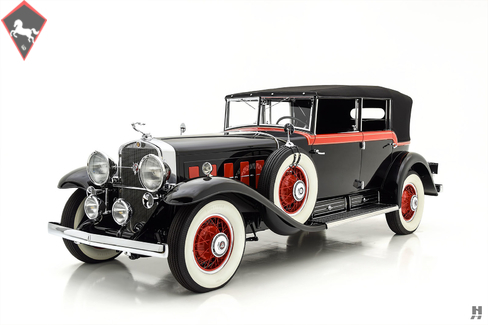 1930 Cadillac Series 452 V16 All Weather Phaeton is listed for sale on ClassicDigest in St. Louis by Hyman Ltd. for $385000.